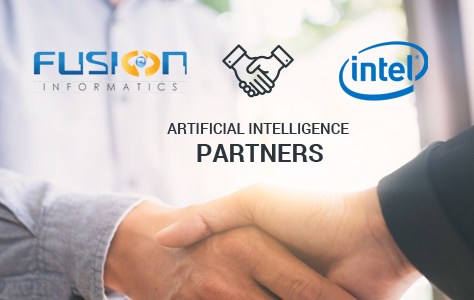 Fusion Informatics is a Leading AI, Mobility, IOT, Block chain & Cloud solution provider, IT outsourcing company with a focus on implementing high-level technology solutions & services. We transform businesses through our extensive specialist knowledge and the status of the design Imaginative. We are 17 years old Software Development Company in Sweden having global presence in India, UAE, Europe, and the USA. An ISO 9001:2015 Certified & Quality Mark Award Winning Company, founded in 2000 and worked on 5000+ companies with 1000+ Mobile Apps. Our services are working on Artificial Intelligence, Machine Learning, Block chain, Data Science, Bots, Cognitive services, IOT and Mobile App Development. We have developed Various Solutions using AI, ML, Cloud like RoboAdvisor0y, LogiGo, Intellinsight etc. We served our work with a lot of startups, SME and big enterprises such as Bosch, Lenovo, Bharat Petroleum, Reliance, Othaim, WorkerAppz, Aditya Birla, Dainik Bhaskar, Tardebulls etc. We are producing high-quality software development and advising services. We have achieved valuable expertise in an extended array of business areas and cutting-edge technologies. Our solutions include a whole software product lifecycle from idea invention to software development, testing, combination, and support. Fusion Informatics has obtained a worthy background in a wide variety of technologies and applications. Recognition to a high skill of our builders, we are similarly qualified to operate with non-mainstream technologies and perform science-intensive projects. •	A designers’ engineers have a strong, experienced and concentrated on development and non-mainstream technologies. •	We understand the requirements of the market and develop software, web or mobile solutions for both domestic and international markets. •	Fusion Informatics is a technologically concentrated business aimed at providing customers with cutting-edge technology solutions in many areas.